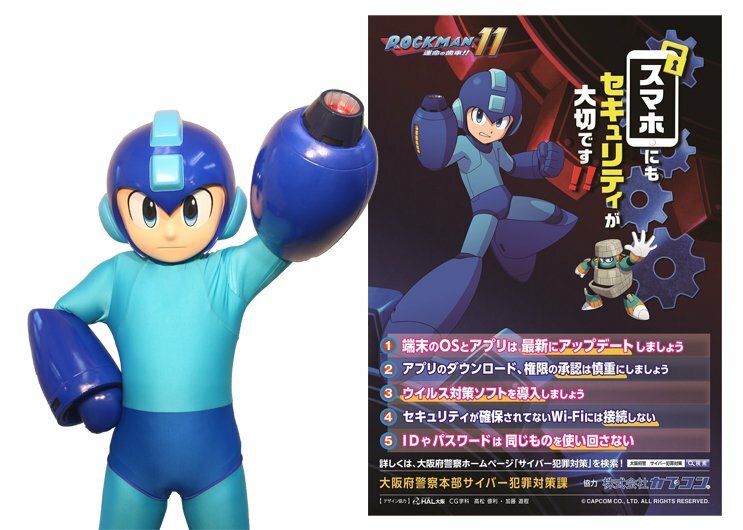 Mega Man World News: Rockman enlisted by Osaka Police for cyber security awareness. Rockman enlisted by Osaka Police for cyber security awareness. 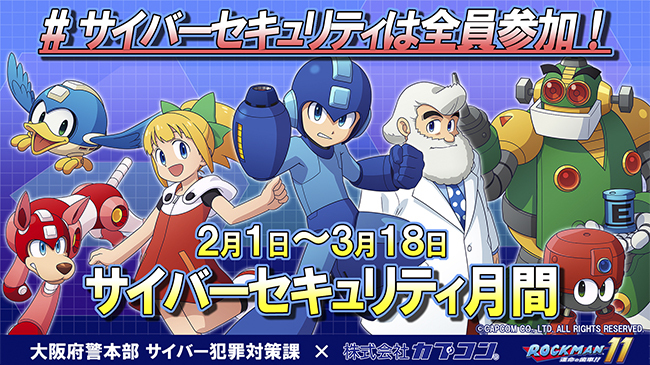 Starting February 1st through March 18th, the Osaka prefectural Police Cyber Crime prevention spokesperson is officially Rockman! This event is being held to raise awareness about cyber-crime and how to prevent it. This really should have been a job for Rockman.exe, but we won't complain. During this month long event there will be lectures, tours, robotic programming courses for the kiddies, and even some Rockman themed security gifts given out. Rockman himself will also be awarded with a certificate of appreciation from the city! Hopefully someone will get some pics of this and we can share them with everyone. Check out the posters posted around town as well as the full article from the Osaka Police below. The Mega Man Death Battle Royale is here! Capcom has released the Mega Man sales numbers!